The diamond dove may preferentially select large, stiff materials for takeoff and landing sites, according to a study published on July 25th in the open-access journal PLOS ONE. 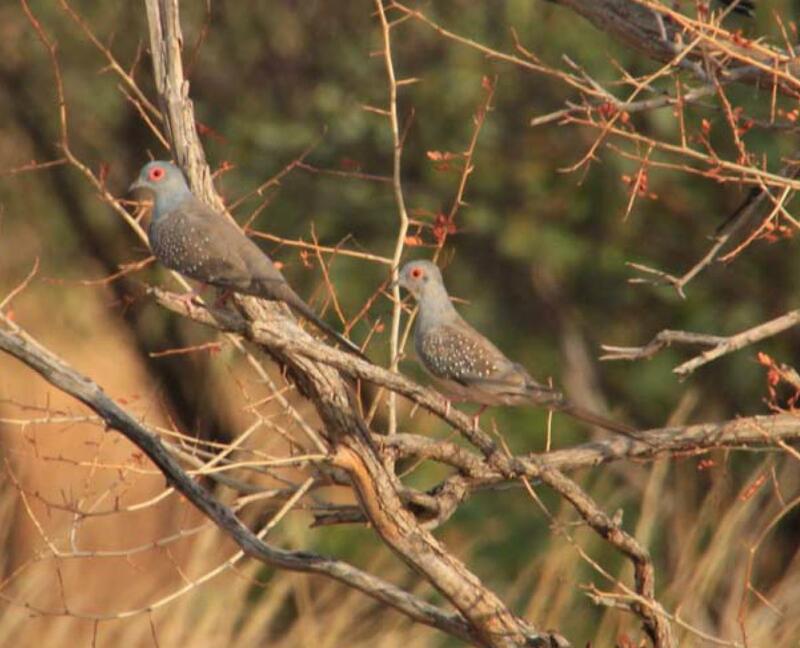 The unexpected findings, reported by Kristen Crandell of the University of Montana and colleagues, suggest that the diamond dove does not adjust its takeoff or landing behavior depending on the flexibility of the perch. Birds can take off from and land on flexible, elastic materials such as twigs and branches, despite the locomotor challenge they pose. However, it has not been clear whether or how flying organisms modify their movements to compensate for or benefit from such flexible perches. Crandell and colleagues hypothesized that birds have adapted a strategy to adjust to structural variation in their habitats by modulating their wing, body and tail movements to effectively use flexible perches. To test this idea, they measured the takeoff and landing performance of five diamond doves (Geopelia cuneata) in the laboratory and the perch selection of 25 diamond doves in the field. Contrary to their hypothesis, diamond doves do not control takeoff and landing on flexible perches as effectively as they do on stiff perches. Collectively, the findings suggest that diamond doves use generalized takeoff and landing behaviors regardless of perch flexibility. For example, they do not coordinate hindlimbs with forelimbs or modify leg function to adjust for perch flexibility, they do not leverage elastic energy during takeoff, landing velocities remain unchanged, and long periods of destabilization are required during landing on flexible perches. Moreover, when the authors observed doves in their natural habitat they were frequently seen on larger-diameter perches, which tend to be stiffer, so might preferentially seek these out. According to the authors, the findings suggest that the flexibility of perches remains a challenge for flying birds. Crandell adds: "As it turns out, birds are not always very graceful when they land and take-off. When branches are too flexible, birds end up performing poorly – losing energy to the perch during take-off, and struggling with stability when landing." Funding: This research was funded by the National Science Foundation (Grant #CMMI 1234737 to BWT), the Dial-Drollinger Charitable Foundation, and the Montana Space Grant Consortium (to KEC). The funders had no role in study design, data collection and analysis, decision to publish, or preparation of the manuscript.